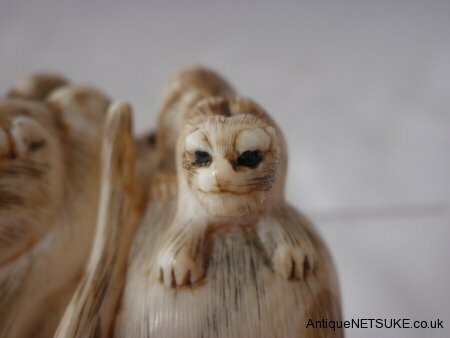 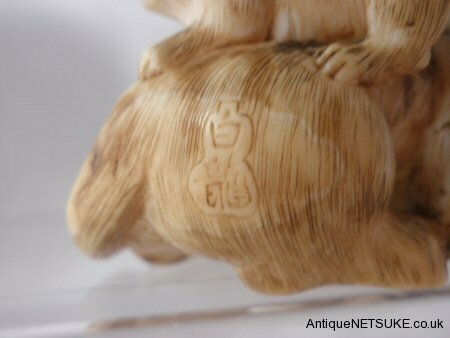 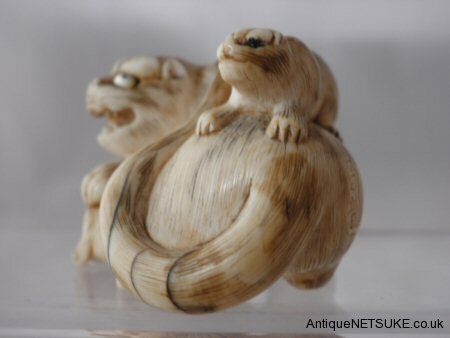 Very nice netsuke by the Kyoto carver Hakuryu the eyes are inlaid with MOP and signed in a gourd shape reserve. 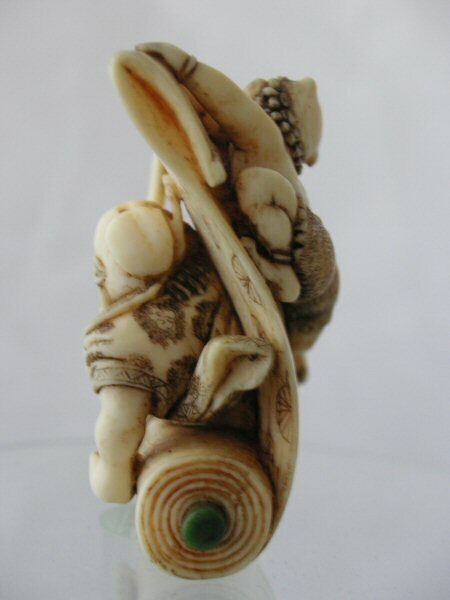 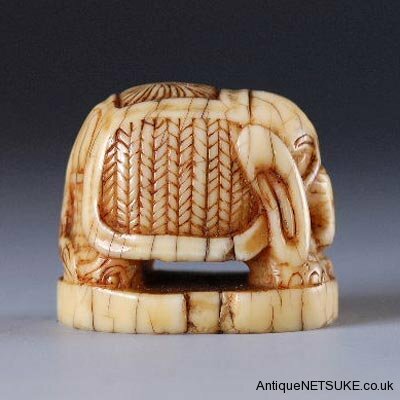 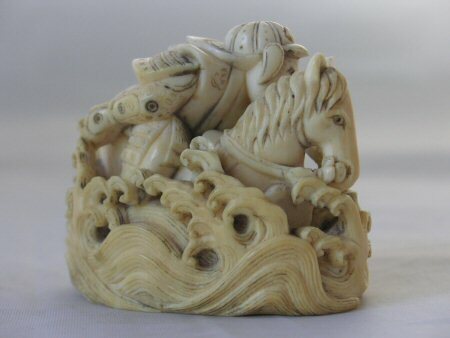 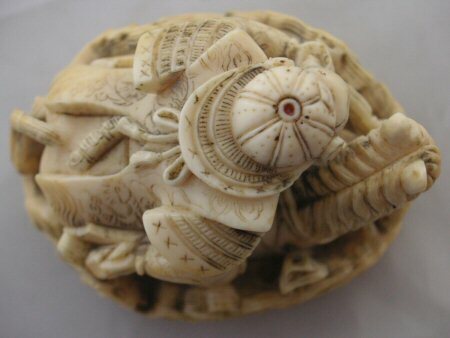 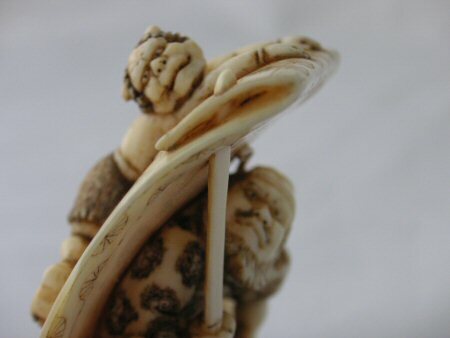 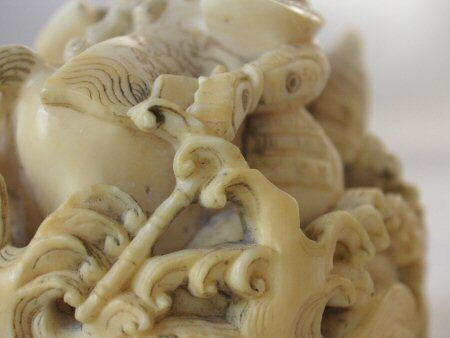 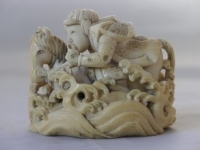 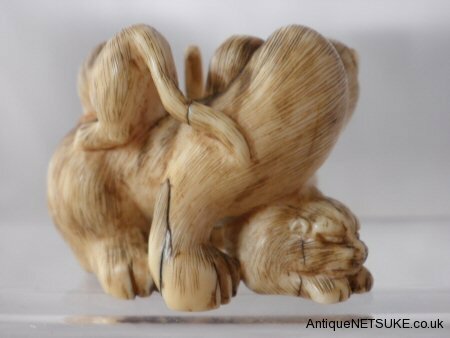 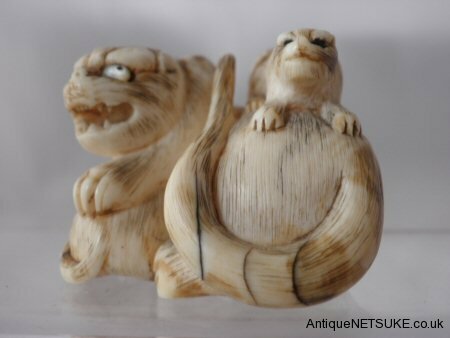 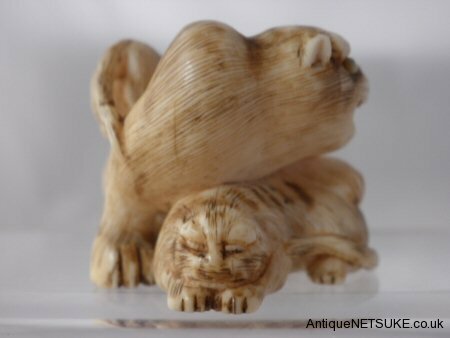 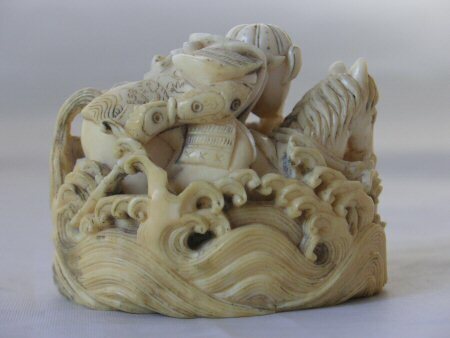 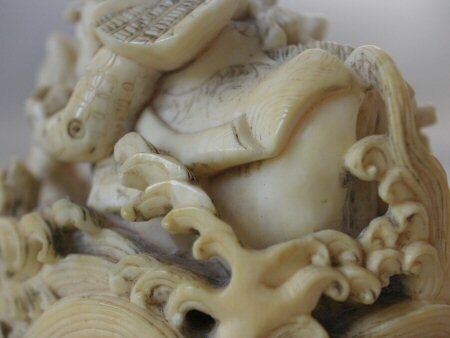 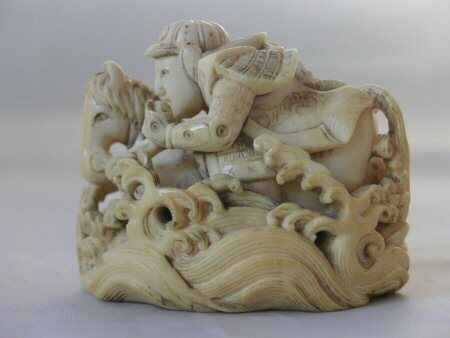 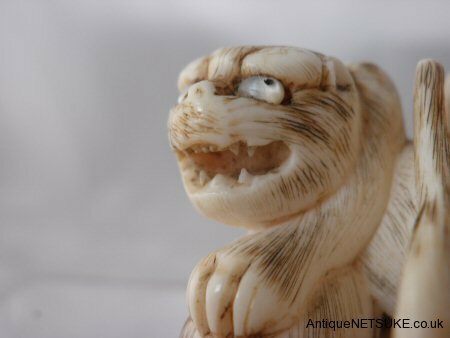 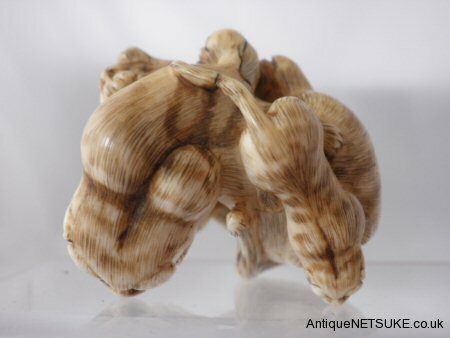 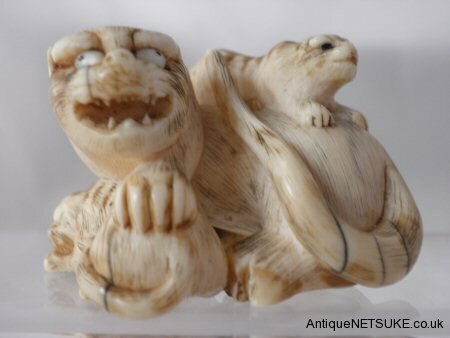 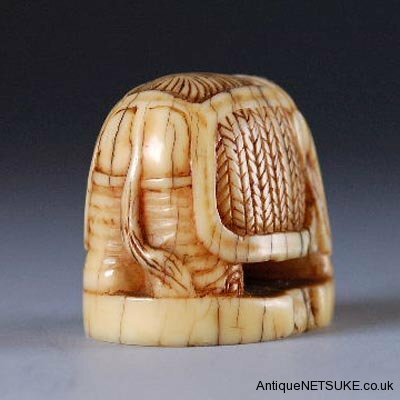 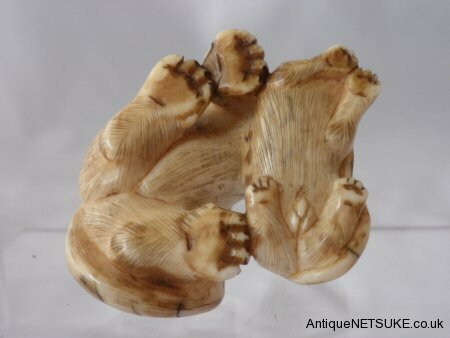 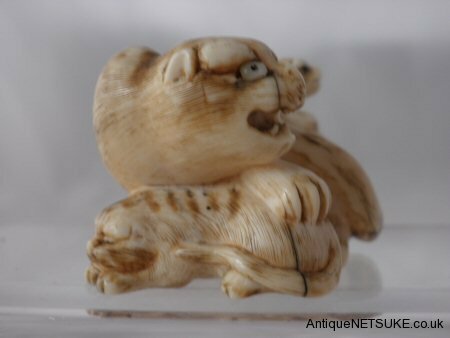 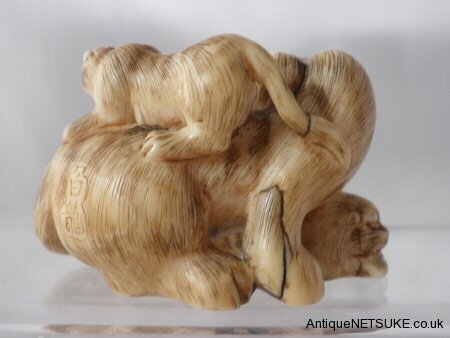 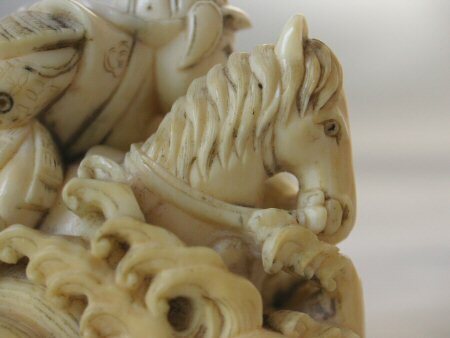 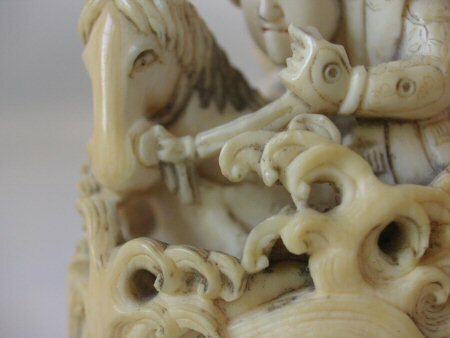 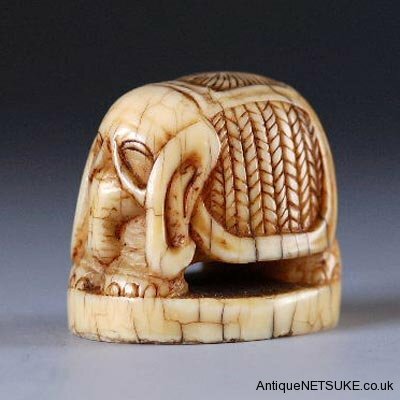 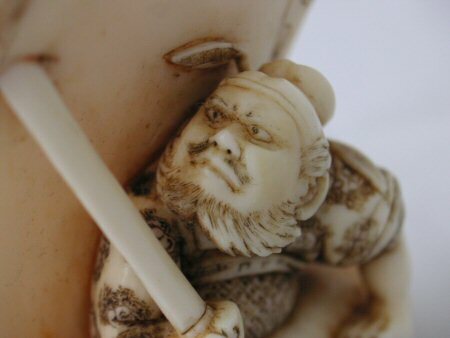 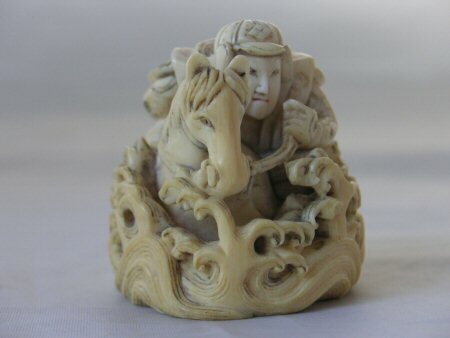 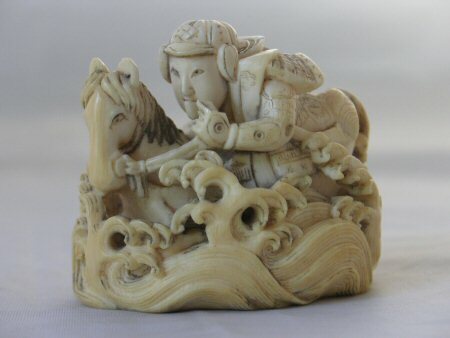 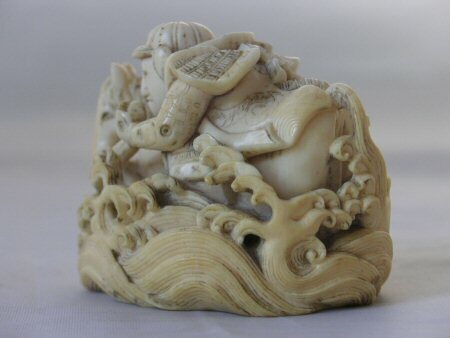 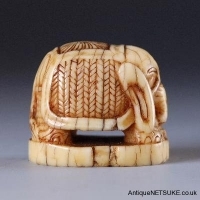 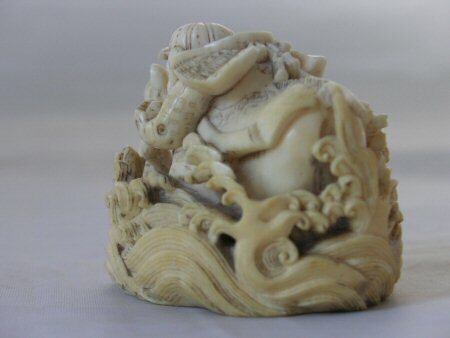 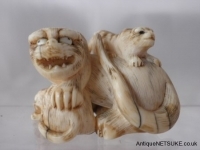 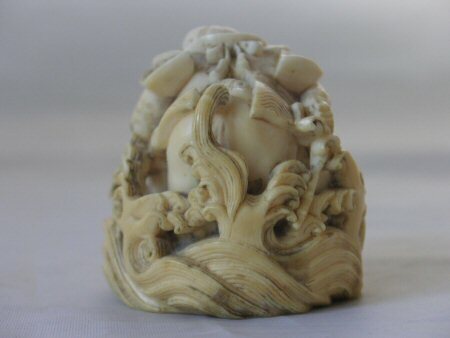 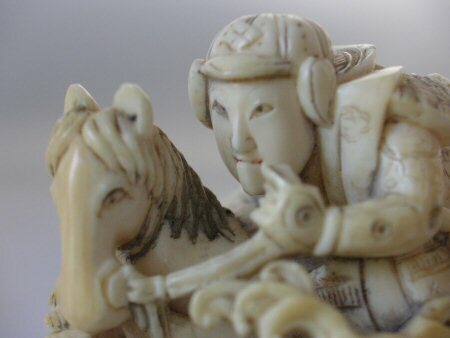 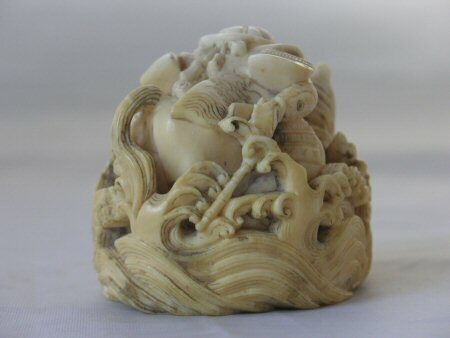 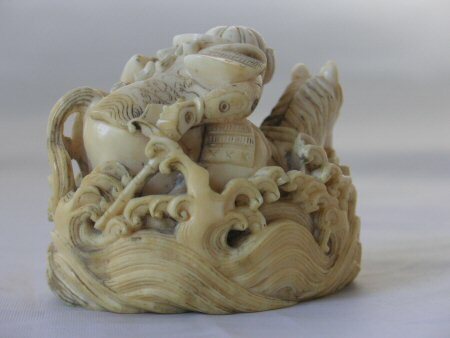 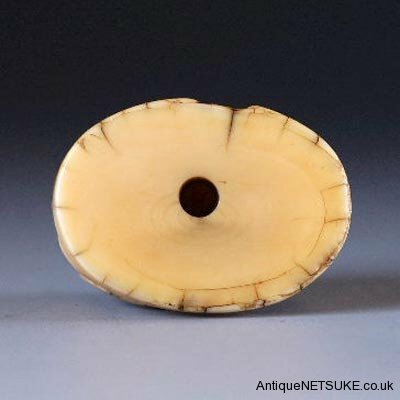 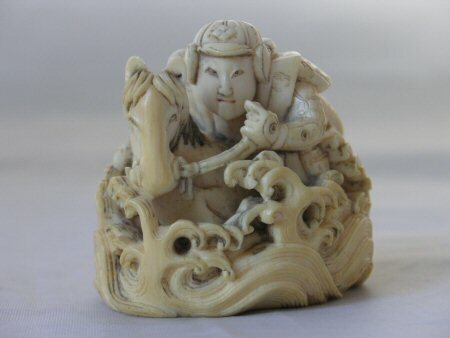 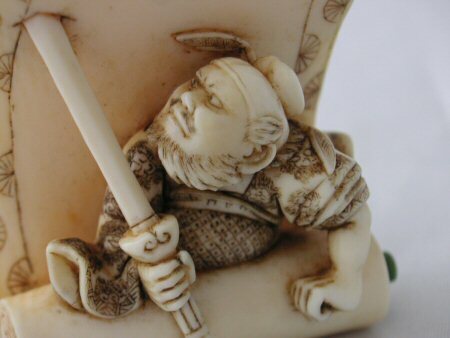 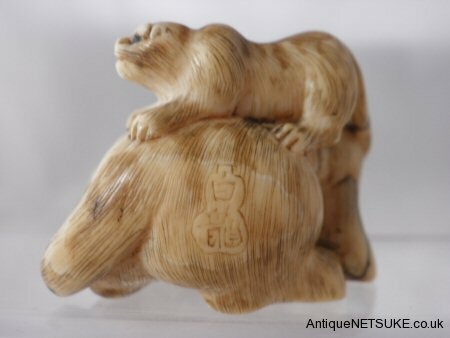 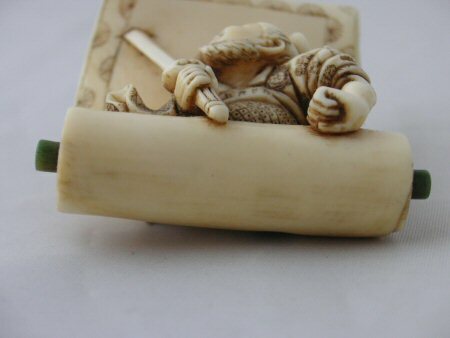 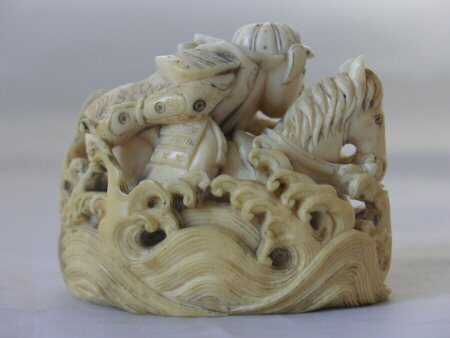 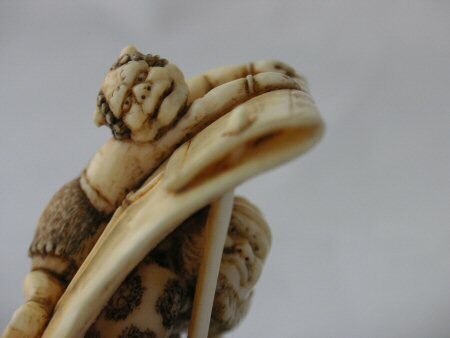 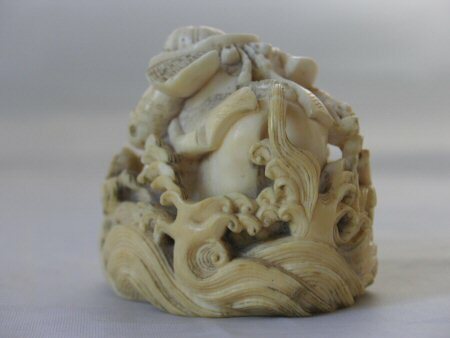 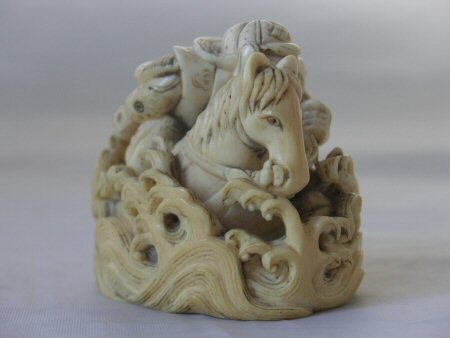 Rare marine ivory netsuke with an elepahant on base. 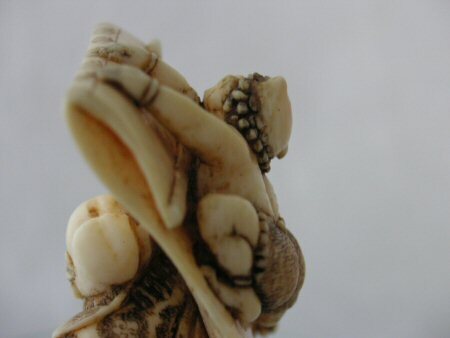 many age lines with a small piece of the dentine layer chipped. 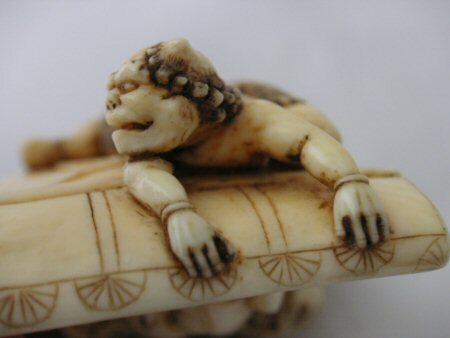 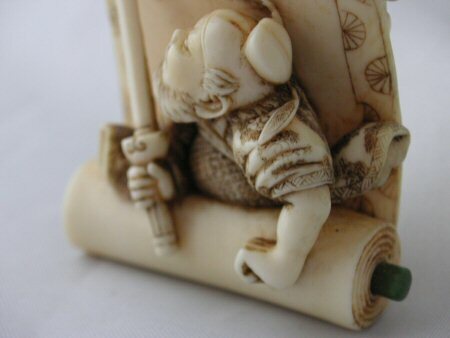 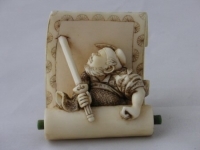 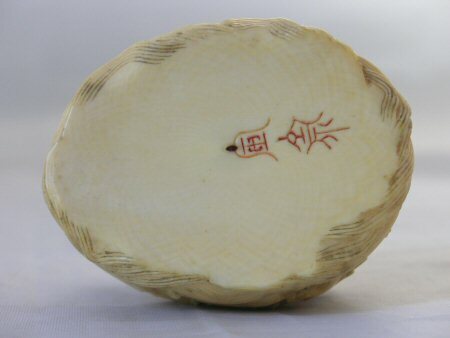 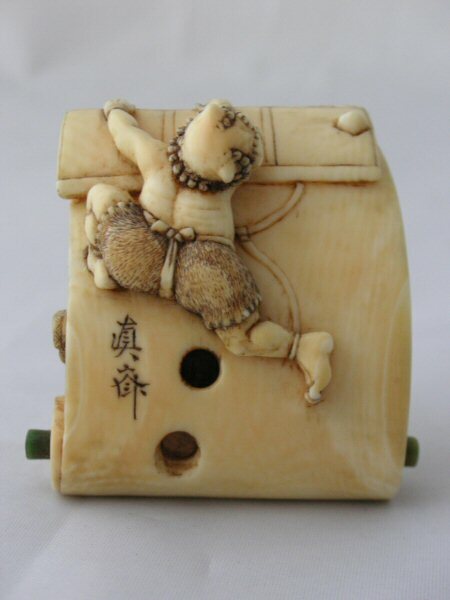 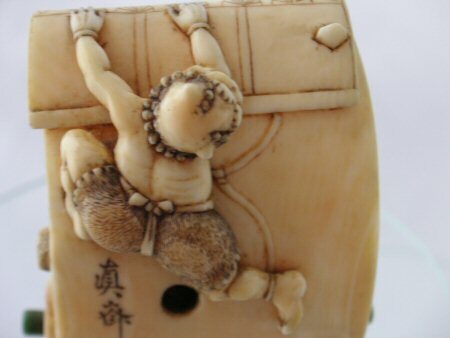 19c ivory netsuke of a Shoki in a scroll, Signed Shinsai. 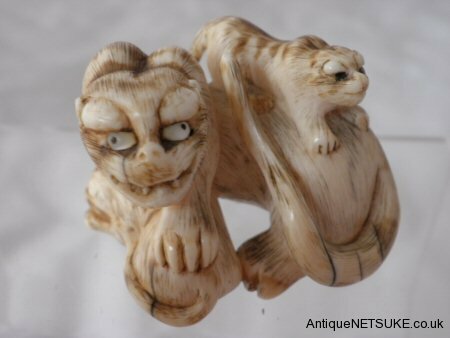 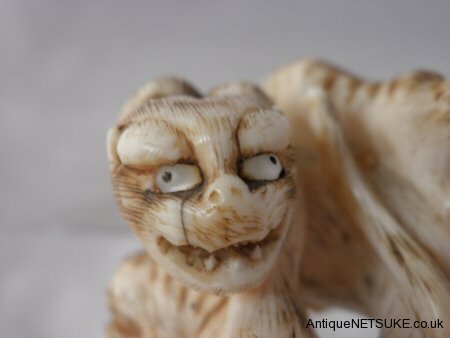 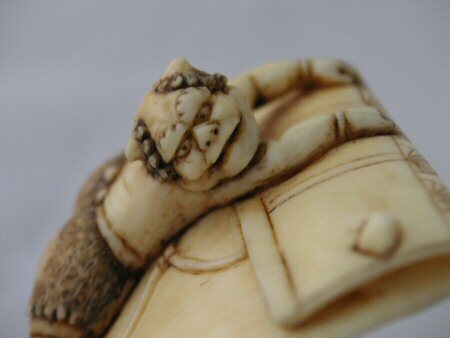 Superb late19c ivory netsuke with shoki coming to life from within a scroll and a terrified oni on the rear. 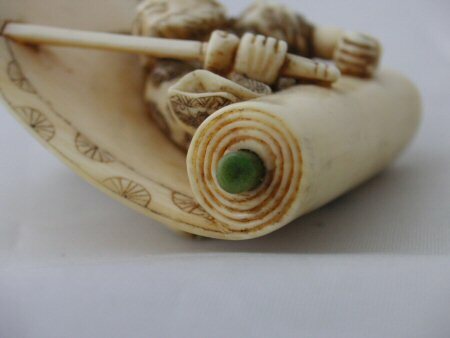 the scroll ends (jiku) in green stained ivory. 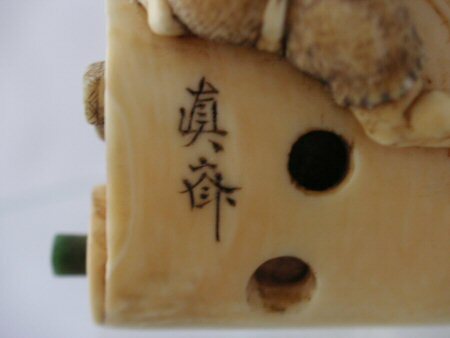 Signed on the back Shinsai. 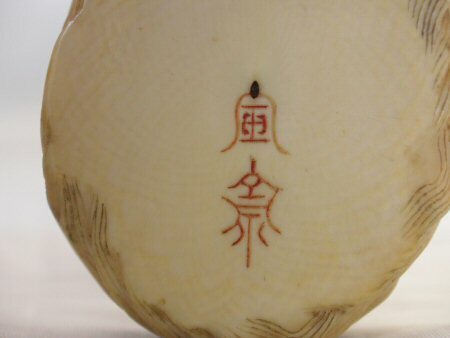 Provenance: #204 from the Robert S. Huthart collection.